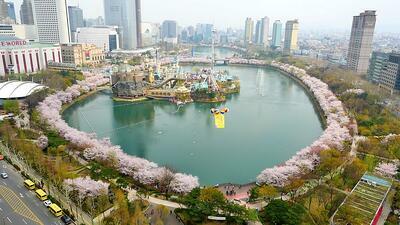 Every year Seokchon Lake hosts the Seokchon Lake Cherry Blossom Festival. 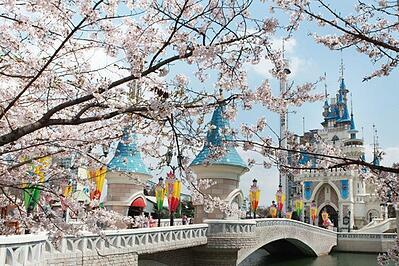 It is one of the best places to see the Cherry Blossoms in Seoul. In the company of Lotte World Tower and the Seokchon lake, one can get great pictures and enjoy a stroll around the 3km track. The festival is usually held at the beginning of April, however this depends on the weather and the timing of the blooming. You can follow the release date on Visit Korea, it should be updated towards the end of March. There are also plenty of activities to explore nearby such as Lotte World Theme Park, café street on Seokchon Lake and Lotte World Mall. Finally, the festival has food trucks, craft stores and musicians playing in the garden of Lotte World Mall. Olympic Park comes alive in the Spring with plenty of families enjoying picnics and outdoor activities. It is a perfect place for a long walk and riding your bike. You could also rent 4-man bikes with your friends and visit the SOMA art museum. The park is filled with interesting sculptures and varying sporting activities; such as tennis, basketball and badminton courts. If you are into other sporting activities you could take a swimming class or a dancing lesson. The park also often hosts Jazz music festivals throughout the Spring and they usually occur in the month of May when the weather has warmed up. 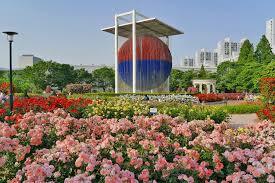 Finally, the park also has a Rose Garden and a hill that blooms different flowers every year during April and May. The Han River runs right through the center of the Korean peninsula and is a common sight in Seoul. The river is a central point from just about anywhere you live in the city. It is the perfect place to enjoy a weekend day trip, with a packed picnic and a rented bicycle. 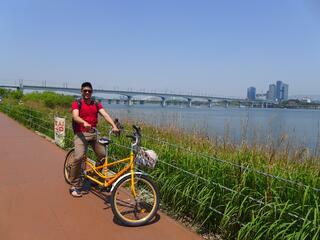 Along the Han River Park, there is various bicycle rental stores which rent out bikes by the hour. They have both regular one-person bikes along with tandem bikes for rent. The rental costs are about 5,000W an hour and the river is a great place to explore. There are cafes along the Han where you can stop and enjoy the scenery. 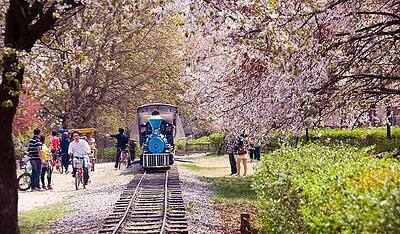 Nami Island is a top tourist spot just outside of Seoul, in Gapyeong. You can get there via subway and the ride costs about 2,250W one-way and takes about 1 hour and 45 minutes to get there. 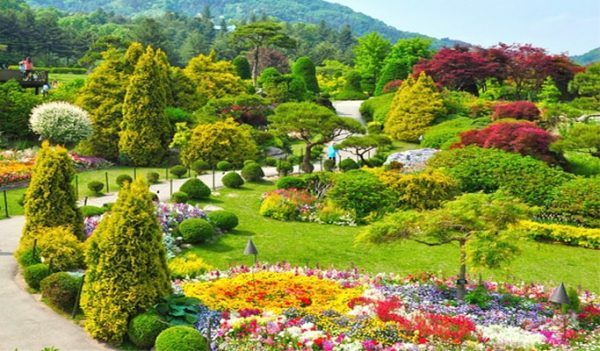 Nami Island is a hidden gem that is worth making the trip out to. It is a beautiful little island that is covered in forestry and is named after General Nami who led a victory for King Sejo during the Joseon Dynasty. The island is famous for its long tree-lined road which has no telephone poles. The community wanted to keep the island looking natural so they hid all electrical lines underground. 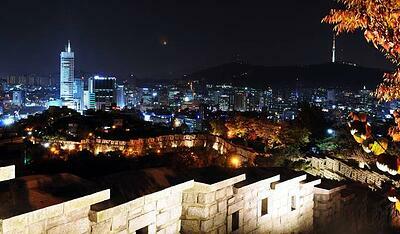 Spring is the perfect weather for an evening hike to the top of Namsan Tower. The tower has a spectacular view of Seoul and during Spring the skies are usually clear. Also, the weather is ideal for a moderate hike, so make sure to wear proper shoes as some parts can be strenuous. 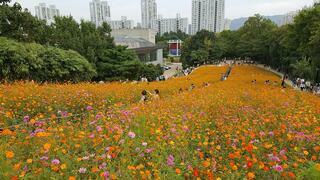 There are various ways to hike up Namsan Tower. One could hike the full course or half course and then take the cable car. Also, once you reach the top you could choose to go to the viewing deck which costs about 8,000W per person. If you choose to take the cable car round trip its cost is 8,500W. 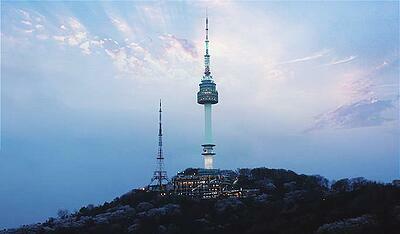 There is also free buses from Itaewon that take you directly to the observatory at Namsan Tower.